I met Kenneth in 1952 at the Hasting Magic Convention. He was reporting for Picture Post Magazine. 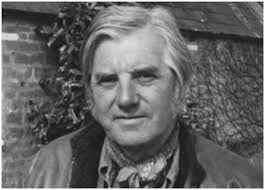 Kenneth Allsop (29 January 1920 – 23 May 1973) was a British broadcaster, author and naturalist. He was married in St Peter's Church, Ealing, in March 1942. Allsop was a regular reporter on the BBC current affairs programme Tonight during the 1960s. He also was Rector of Edinburgh University and won the John Llewellyn Rhys Prize. In 1958 he wrote an account of 1950s British literature, The Angry Decade, at the end of which he remarked that: "In this technologically triumphant age, when the rockets begin to scream up towards the moon but the human mind seems at an even greater distance, anger has a limited use. Love has a wider application, and it is that which needs describing wherever it can be found so that we may all recognise it and learn its use." The inquest on his death recorded an open verdict, despite having found that it was brought about by an overdose of barbiturates. He is buried at Powerstock in Dorset. The Kenneth Allsop Memorial Trust, a registered charity, was launched in 1973 with an appeal for funds, at first intending to acquire and conserve Eggardon Hill in Dorset. Instead, in 1976 the trust bought the island of Steep Holm in the Bristol Channel for £10,000, and runs it as a nature reserve. The Sunday Times instituted a Kenneth Allsop Memorial Essay Competition, which took place annually until 1986. The Allsop Gallery, an exhibition space in Bridport Arts Centre, Dorset, is named after him.